SSVV(which stands for Foundation Cooperation for Security) is an initiative of joint petrochemical companies in the Benelux. SSVV- or SOG-courses (SOG, formerly GORW) applies to companies that perform hazardous work in (petro-)chemical industry, off-shore industry and industrial cleaning. Our conducted courses, related to this industries, are mutually recognised by participating countries(in Belgium these are covered by RRB, Register Risky tasks Bessac). After completing this SSVV-course with sufficient results you will receive a certificate containing a VCA logo and a registration in the VCA diploma register. 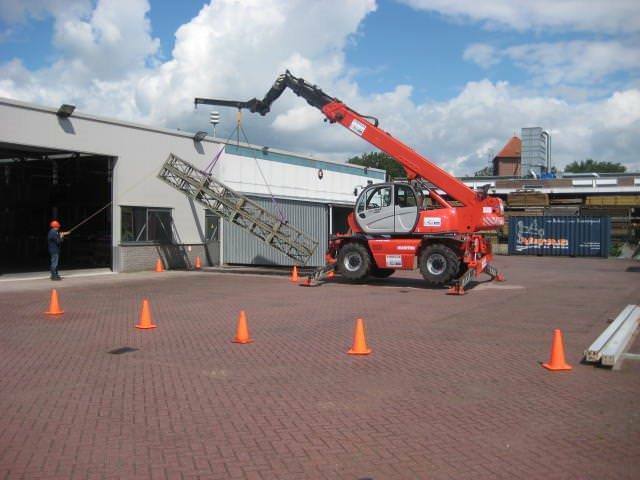 At the most we can provide this course to 4 participants per instructor per telehandler.